BOOK TICKETS HERE – More tickets released due to popular demand! The Droves has been created over 3 years. Coney worked with over 550 young people in the their home of Tower Hamlets and beyond to bring together the most creative individuals to create The Droves Young Company. Over the past year the Young Company has worked together to create a unique immersive production where they have created every element from the story to the set design. Click here to discover Phase 1 of The Droves in development in 2016. Click here to hear from Associate Dominic Garfield on unlocking young artistic potential. Click here to read about The Droves Festival. 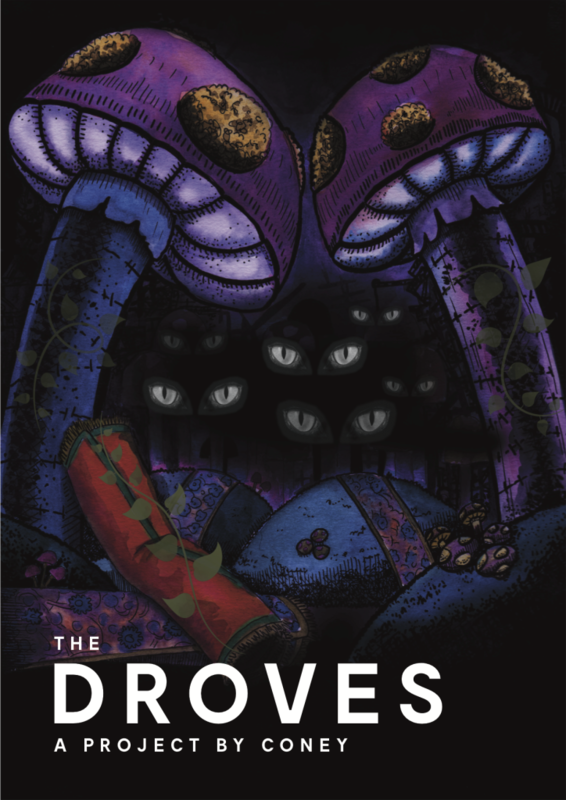 Click here to watch The Droves Trailer. Click here to meet The Droves Young Company. Juliet Desailly, Adam Coleman, Adam Gallacher, Benjamin Yeoh, Chloe Booth, James Clayton, Jane Samuels, Joanna Marschner, St Margaret’s House, Graeae Theatre Company, Shoreditch Town Hall, George Mitchell Primary School, Hermitage Primary School, Betty Layward Primary School, Mayflower Primary School, Marner Primary School, Stepney Green Primary School, Upton Cross Primary School, Beckford Primary School and our 33 person Festival Weekend young company. The Droves is supported by Arts Council England, John Thaw Foundation, CoLab Factory,and a generous network of individuals through Coney Club Night #1 and Coney’s Friends scheme.